If you’re like me and just don’t know what to buy for a few people on your list (or teen in my case), a great choice is a Promenade Temecula mall gift card…easy peasy. You can grab one online even and with a card it is the perfect, easy, don’t have to go anywhere in your car gift. 😉 Let them choose which retailer they want to shop at this year……done!! 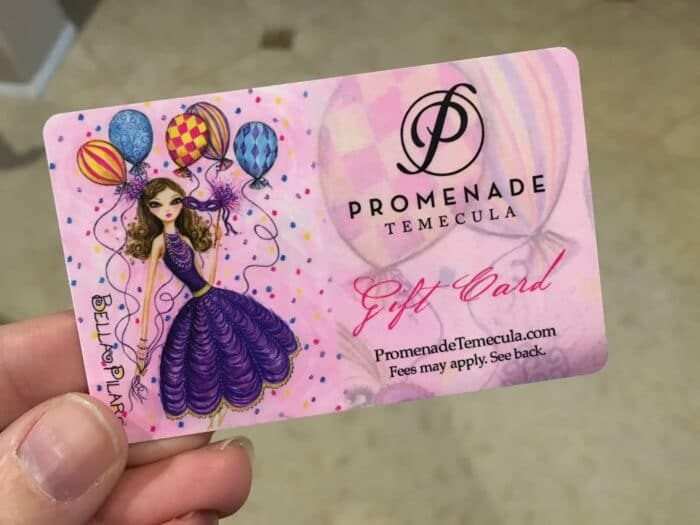 You can grab a Promenade Temecula mall gift card in an eCard or physical gift card here, or at guest services in the mall itself!